This deliciously thick soy milk hot cocoa was perfection. I enjoyed it during my recent trip to Dubai at the Boulevard Cafe located in Almanzil Hotel. Picture taken by my achingly cool new digital Polaroid camera that has a food setting. Yes, perfect camera for all my travels because I almost exclusively take pictures of food only! 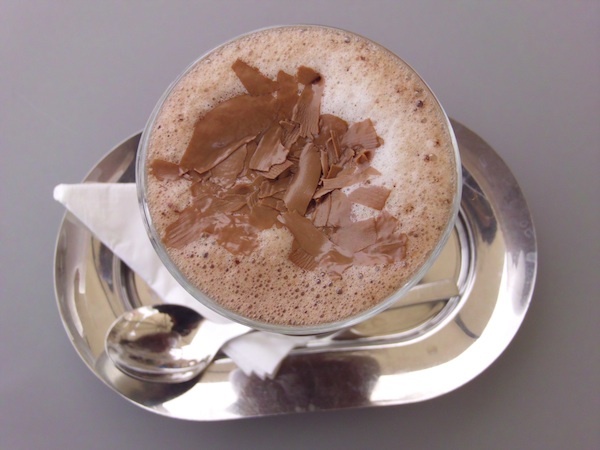 This entry was posted in I Heart, Travels and tagged chocolate, food, hot cocoa, photos, polaroid, soy milk by Budour. Bookmark the permalink. Ooo what is the make and model of your camera? I need a new one and also only take photos of food most of the time!! It’s a polaroid. I already linked it in the post.